Peggy Glanville-Hicks won an international reputation as composer - more especially as an opera composer - and was the first, among the few women in this field to achieve such distinction. Born in Melbourne on 29 December 1912, her creative gift was manifest from early childhood, and at the age of fifteen she began lessons in composition with Fritz Hart. In 1931 she won an open scholarship to the Royal College of Music in London, where for five years she studied with Vaughan Williams (composition), Arthur Benjamin (piano), and with Constant Lambert and later Sir Malcolm Sargent (conducting). In 1936, she was awarded the Octavia Travelling Scholarship for studies in Vienna with Egon Wellesz, and in Paris with Nadia Boulanger. In 1938, Sir Adrian Boult conducted her Choral Suite in the ISCM (International Society for Contemporary Music) Festival in London, the first time Australia had been represented in this Festival. In 1942 she moved her base of operations to America, and in 1948 again represented Australia in the ISCM. Festival at Amsterdam, when the Concertgebouw Chamber Group performed her Concertino da Camera. Most of her works were written in America in the 1940s, 1950s and 1960s, and most have been recorded, including two of the four operas. Her name built steadily through the appearance of works such as the Three Gymnopedie, the Sinfonia da Pacifica, Letters from Morocco, Etruscan Concerto and Concerto Romantico. But it was The Transposed Heads, her opera with libretto by Thomas Mann, premiered in Louisville in 1954 and in New York in 1958, which established her securely in her unique status. Following this premiere, the composer was commissioned to write a ballet score for the First Spoleto Festival - The Masque of the Wild Man choreographed by John Butler. For this renowned choreographer she subsequently wrote several ballet scores, which were produced in New York. From 1950 to 1976, Glanville-Hicks made her home in Athens, from where, in 1959-1960, a Fulbright Research Fellowship and a Rockefeller Grant made possible a comparative study of the Demotic music of Greece and the musical system of India. The outcome of these years was Nausicaa - an opera based on Greek Demotic musical materials, with libretto from the novel Homer's Daughter by Robert Graves. The premiere, presented by the Greek Government in the Athens Festival of 1961, was a triumph, achieving international recognition and coverage. Following this success, the Ford Foundation commissioned a new opera for the San Francisco Opera House, and with Lawrence Durrell as librettist she wrote Sappho, again a work on a Greek subject. 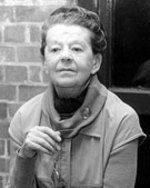 Peggy Glanville-Hicks, in a sense, enjoyed a double career, for her activities on behalf of contemporary music and musicians were an outstanding contribution to her era, and her trendsetting influence was felt in many musical directions. As early as during World War II, she was active with the League of Composers, while the war's end found her acting Delegate to the ISCM Festivals in Copenhagen and Amsterdam. Resulting from her observation of the post-war plight of Europe's musicians, it was her ideas and initiative in collaboration with Dr Carleton Sprague Smith that sparked the creation of the International Music Fund and saw her involvement in its early activities. As member of the Junior Council of the Museum of Modern Art, she organised musical events of an avant-garde nature for the Museum's Auditorium, notable among these being two concerts in 1952 - 'The Hispanic Influence in Modern Music' and 'Music for Percussion', which helped to introduce European composers to American audiences. For the Italian pianist Carlo Bussotti and American violist Walter Trampler she wrote her Etruscan Concerto and Concerto Romantico, respectively, organising concerts where these premieres could create a concert debut for the young artists. The concerts in New York in 1956 and 1957 presented, also for the first time in the USA, young Scandinavian composers Vagn Holmboe and Karl Birger Blomdahl in works discovered by Glanville-Hicks while working on the Scandinavian Section of the New Grove Dictionary edition. (Glanville-Hicks was also the author of all the American entries of the New Grove). She and Yehudi Menuhin were masters of ceremonies to the concerts of Indian Music given at the Museum of Modern Art in 1955. Because of her extensive knowledge of oriental music she was in demand as consultant in the East-West musical affairs that touched the USA. From 1948 to 1958, Glanville-Hicks was one of the outstanding critics working on the New York Herald Tribune, and her reviews, as well as articles appearing in many other publications, displayed penetrating writing on contemporary musical topics. From 1950 to 1960 she was also Director of the Composers Forum, organising a series of annual concerts for young composers in New York. Many of these events led to recordings. She was also responsible for the performance, publication and recording of works by a number of composers, particularly those who used in some way the modes and methods of the Oriental or Antique world. In 1976, she returned to Australia and was a major figure in the national music scene until her death in June 1990. In her will she established a fund and residency for young Australian composers at her former home in the Sydney suburb of Paddington. Sappho : opera (1965) Commissioned by the San Francisco Opera, under a grant from the Ford Foundation, for Maria Callas as a mezzo-soprano. Meditation for orchestra : full orchestra (1965) Commissioned by Edward B. Benjamin. The transposed heads : opera (1953) First opera commissioned by The Louisville Philharmonic Society, Inc.
Book: The music of Peggy Glanville-Hicks / Victoria Rogers. Book: Peggy Glanville-Hicks, 1912-1990 : lists of works / [compiled by] James Murdoch. Book: Peggy Glanville-Hicks : a transposed life / James Murdoch. Book: Peggy Glanville-Hicks / Wendy Beckett. Book: Composer for theatre, P. Glanville-Hicks : [four operas, five ballets]. Book: Peggy Glanville-Hicks : a bio-bibliography / Deborah Hayes. Book: The faces of Nausicaa : an examination of style and idea within Peggy Glanville-Hicks's opera / by Efrosini Gialidis. - Program note: Peggy Glanville-Hicks's "Sappho"